My full notes and analysis on the Wall Street Journal from the past week: March 6-12, 2017 (Week 10). Please Enjoy. 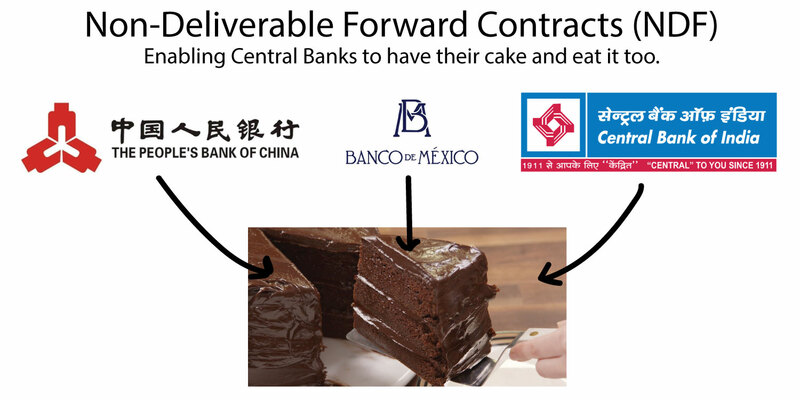 Central Banks & NDF Contracts: Have your cake and eat it too! ‘Shore up your currency, No money down!’ It sounds like a bad late night television ad. It’s also what many central banks around the world have been doing very actively in recent years. Traditionally central banks will buy and sell foreign currency to manage the strength of their currencies. This process leads to large fluctuations in foreign exchange reserves. But it appears that many central banks have started to rely heavily upon Non-Deliverable Forward (NDF) contracts. NDFs provide central bankers a way to both keep their foreign currency reserves and manage inflationary and deflationary pressure. Additionally, NDFs suppress foreign exchange volatility, and even allow central banks to increase reserves. But these benefits are largely illusory. Foreign exchange volatility isn’t lower, rather NDFs have simply removed it from the central bank’s books. In this way, NDFs are not much different than Credit Default Swaps used by banks before the financial crisis, or Special Purpose Vehicles used by Enron to manipulate its balance sheet. You could say that NDF contracts have allowed Central Banks to have their cake and eat it too. China, Mexico, and India are all indulging in this cake-eating-and-holding paradox. At the moment, NDFs appear to be effective when used in stable markets, but during times of stress, the complexion of these derivatives will almost certainly change. So the more the central banks rely on NDFs, the more pain will be felt in periods of turmoil. P.S. I would love to find information regarding the size and growth of non-deliverable forward currency contracts (NDF). But it’s hard to get. Since the financial Crisis, The People’s Bank of China has significantly increased their reliance on NDF’s. But I don’t think a fine is enough. 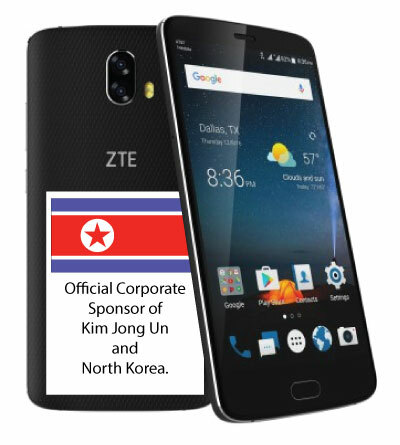 ZTE is the #4 maker of smart phones, by volume, in the U.S. As a consumer products company, I think U.S. citizens should be warned that ZTE illegally circumvented U.S. policies and sponsored the governments of North Korea and Iran. So I propose adhering a warning sticker to all of their consumer products. Much like you’d find on a pack of cigarettes. I imagine it would look something like this. They couldn’t give those phones away. And it would serve as a very high-profile warning to all other companies. When looking to avoid catastrophic mistakes, checklists have be proven to be extraordinarily effective. Whether in hospitals, airplanes, or investing. Another application: Inhalers. Forgetting to shake the inhaler. Use checklists: They have the universally accepted benefit of helping us avoid catastrophic decisions or actions. Trump’s stock market rally: It’s not how you start. It’s how you finish. Lobbying & Political Self-Interest make it very challenging to enter or disrupt some industries. When threatened by a new entrant, old corporate hegemons will use their vast lobbying resources to prevent upstart competitors from displacing them. Meanwhile, self-interested politicians will be motivated to fight on behalf of the old hegemons who supply their state with massive employment and tax revenue. Here are some examples from this past week. Avoid direct competition with companies which are national champions of socialist and communist countries. 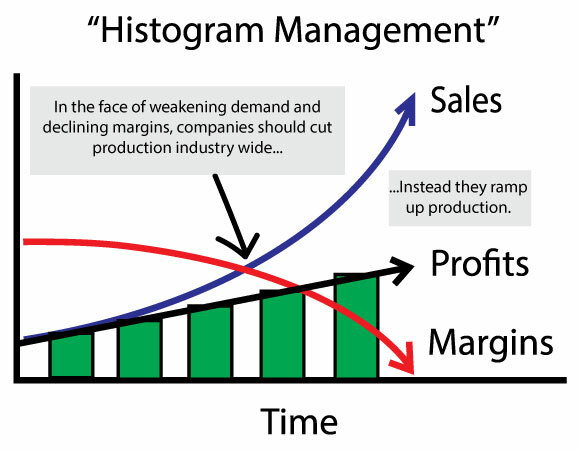 Specifically in industries which sell commoditized products; i.e. China & Steel. These companies will likely have a lower cost of capital than you and make your life a nightmare. GM recently exited Europe with its sale of Opel. Among the problems they faced in Europe was the existence of car companies labeled as “national champions” who received support from their respective governments. Carlos Ghosn, Nisan’s CEO, talked about Renault being treated as a national champion. There were lots of multi-year highs and lows occurring last week. “Central banks around the world are increasing foreign-currency reserves, highlighting the fragile underpinnings of the global economic recovery despite a bullish mood in financial markets. China cut steel capacity by 10.5% last year. But it was practically meaningless as most of it was long-since idled. Furthermore, despite the capacity reductions, steel production rose 1.2%. China’s theme for this year is “stability”. That means cracking down on internet-based political commentaries. Is this a signal of coming instability? How can an economy be so herky-jerky? One month they have near record lending, the next they slam on the brakes, and so on. There have been several Chinese deals halted suddenly since the Trump election. Here’s another one. Several articles address the economic costs of ideological polices. I found it rather fascinating how economics and ideology interplay in shaping legislation. In January bullish oil bets hit a 10 year high. Two months later U.S. inventory levels his a record and oil prices rapidly sunk. This shows the difficulty of forecasting such things and the euphoria and panic that can grip market participants. March 10, 2017 (link): U.S. crude fell below $50 a barrel for the first time this year, in the biggest two-day sell-off since June. My full notes and analysis on the Wall Street Journal from the past week: February 20-26, 2017 (Week 8). Please Enjoy. 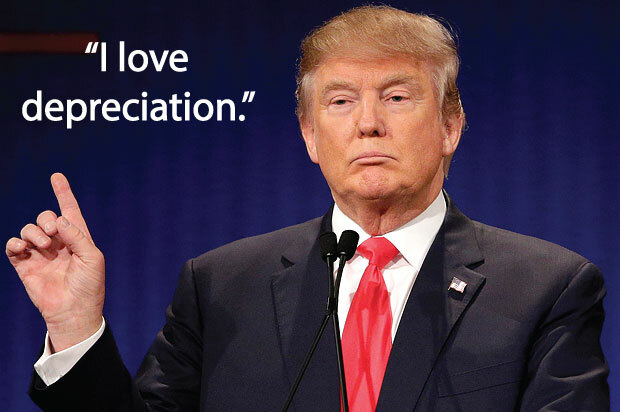 Is Donald Trump a Pre-Suasion genius? He is constantly criticized for being too vague about the details of his plans and chronically leaving people in a state of uncertainty. But that might just be the key to his success. So I’m curious…how many investors in Glencore identified “China Stimulus” and “Labor Disputes” as the main parts of their investment thesis? My guess is very few. Charlie Munger once mused about The Kellogg Company that there’s nothing keeping cereal producers from going crazy over market share and tearing each other apart. (link) So when investing in an industry, you have to seriously consider; What force is maintaining rational economic decision-making in this industry? The CEO of Glencore appeared to be surprised and upset when his competitors weren’t acting rational in the wake of declining commodity prices. 1) Incentive-caused biases linked to executive compensation or job security. 2) Prisoner’s dilemma and the Fear of Missing Out. Which explains why two rational individuals might not cooperate, even when doing so is in their best interest. 3) Social Proof. You look around and no one is cutting production, so this must be the right thing to do. 4) A genuine economic desire to survive. i.e. They keep producing at a loss in order to cover massive fixed costs. When commodity prices are declining, the easiest way for a mining company to show stable and growing profits is to rapidly increase sales in the wake of declining margins. This strategy of channel stuffing may provide stable earnings figures in the short-term, but it will exacerbate the problem for the entire industry over the long-term. 1) Management often won’t behave in economically rational ways. Therefore, watch out for industries which allow for competition to intensify to the point of mutually ensured destruction. 2) Poorly designed executive compensation can make or break a company/industry. In other words, don’t give them the rope with which to hang you. Car Sales Eating into Macy’s Business? Macy’s CEO said that record U.S. car sales indicate consumers have spent a bigger portion of their budget on bit-ticket items lately. It makes sense too. Car purchases are highly interest rate sensitive. A majority of new cars are purchased with debt. 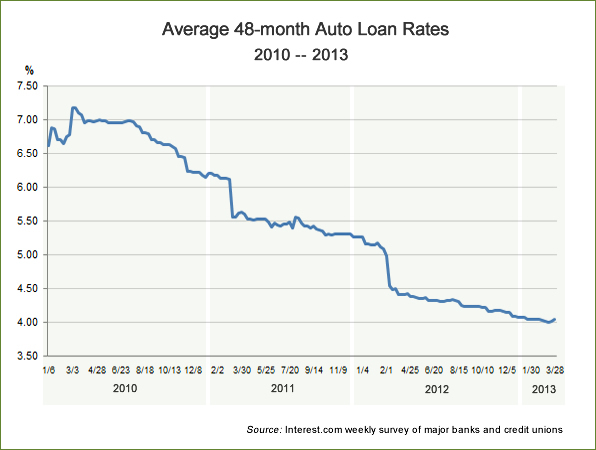 Today the APR on an auto-loan starts at 3.12%. Meanwhile the APR on a Macy’s credit card is 24.5%. It’s no wonder that sales of goods that can be bought with debt have done well, while cash-based retailers have struggled. January home sales reach highest level since February 2007, on the back of the lowest inventory levels on record (circa 1999). “Inventory rose 2.4% at the end of January from the end of December, when supply hit the lowest level since the Realtors association began tracking all types of supply in 1999. Apartment supplies are growing rapidly, as a result, loans are getting more expensive and harder to come by, and rent growth is slowing. U.S. farmers are quite good at conventional farming where emphasis is placed on efficiency. But consumer demand has been shifting towards organic food, which is less efficient to farm, and requires higher labor costs. 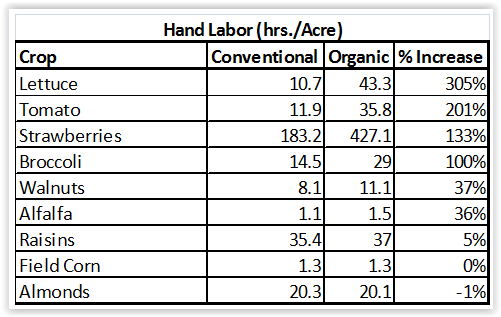 Naturally countries with cheap labor will have a competitive advantage on the U.S. Consequently, U.S. farmers have been feeling the pressure from international organic farmers. Specifically, the article talks about pressure from Turkish farmers. 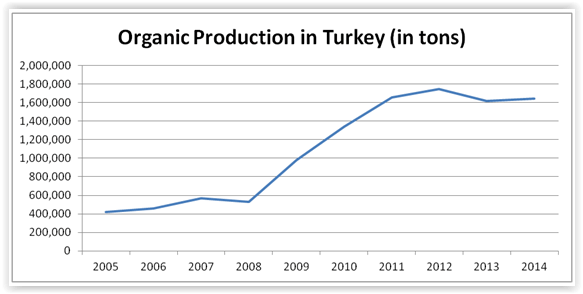 It’s beneficial to dwell on Turkey for a moment because Turkish farming data helps highlight the competitive challenges that U.S. organic farmers face. Firstly, Turkey’s minimum wage is $6,000/year giving them a competitive advantage in labor-intensive crop production. Secondly, the barriers to entry into organic farming are nearly non-existent. From 2002 to 2014 Turkey’s Organic Farming area increased at an annual growth rate of 22.56%. It would seem that the shift to organic farming is akin to switching from industrial production lines to hand craftsmanship. The countries with the cheapest labor would naturally have the upper hand. Note: Additional factors which have added to the pain for U.S. organic farmers include a strong U.S. dollar, and accusations that international organic farmers face weaker regulatory oversight. Management can sometimes react poorly to unwanted activist investors, leading them to make poor economic/ethical decisions. The following case got me thinking about the possibility that management may revert to unscrupulous methods to increase revenue at a poorly performing unit in order to save it from activist pressures. ABB Hit by Fraud in South Korea (lInk): “The disclosure (of stolen funds) adds to the pressure on CEO Ulrich Spiesshofer as he tries to fend off Swedish activist shareholder Cevian Capital. ABB in recent weeks announced a string of large orders at its power-grid unit, including a $640 million project to deliver an electricity-transmission link in India, but Cevian has been urging ABB to sell the unit. Signing sweetheart contracts that are overly generous to clients. Both of these tactics would make the unit appear more successful just long enough to win over shareholder support and stave off activist shareholders. I’m not saying that ABB is doing this, but from a standpoint of “incentive-caused bias”, it’s more apt to happen. I’d like to see a study on this topic. “We’re not going to out-Bezos Bezos,” Buffett said, in response to a question about the effect of online retail on traditional retailers. It feels like a lot of retailers are trying to out-Bezos Bezos these days. Great example of pricing theory under pavlovian association and information inefficiencies. Corporations are rarely agents for social change…even if they pretend like they are. Rather they’re economic agents who weigh supply and demand issues carefully. Demand for a socially beneficial product or service usually needs to hit critical mass (aka “The Tipping Point“) before companies “make that change“. Here are some social changes which have reached critical mass and have become economically viable. I read this article on Brazilian graft and I couldn’t help but be reminded of a talk Charlie Munger gave back in 2003. The scenario he gave for bribing a purchasing agent is almost identical to the problems which were uncovered in Brazil 12 years later. “who wouldn’t want to be able to check in with their best friends whenever they felt like it? My full notes and analysis on the Wall Street Journal from the past week: January 30-February 5, 2017 (Week 5). Please Enjoy. 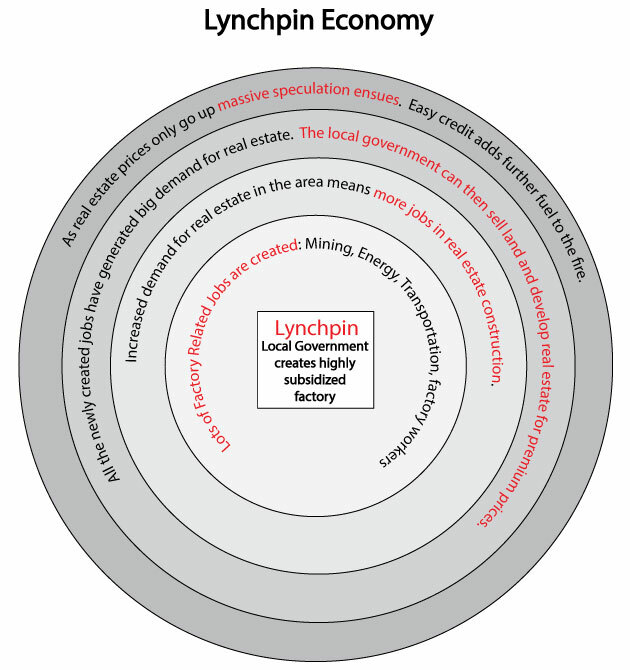 Banks are being incentivized to game the system in order to boost dividends or buybacks. They are using the same consultants who helped them avoid Basel II capital requirements before the financial crisis. The Fed is considerably intertwined with the stress tests. Should anything go wrong, they will feel responsible for bank failures and ultimately bail them out again. I couldn’t help but think that Japan’s monetary policy draws parallel’s to the Weimar Republic. When the Weimar Republic went off the gold standard, there became no legal limit as to how many notes it could print. And print they did. How long can the Rising Sun fight a Rising Tide of interest rates? It’s less than 2 years since Ferrari’s IPO, and the race to test the boundaries of brand dilution is on. Historically Ferrari has established brand equity through exclusivity. Just as recently as 2013, head of Ferrari, Luca di Montezemolo, announced plans to sell fewer cars in 2013 than the 7000 it delivered in 2012. In 2014, the company sold 7,255 cars. That year, Luca resigned following tension with Sergio Marchionne. At the moment, Ferrari cannot sell more than 10,000 cars a year because of emission standards. I suspect however that electric vehicles will ultimately be exempt from this number, giving Ferrari an open path to even more significant brand dilution. As Ferrari tests the boundaries of Brand Dilution, many fashion retailers, like Ralph Lauren, are desperately trying to recuperate brand equity after years of brand-destructive strategies. Key Drivers within the Coal Industry. 3) How fast can coal miners ramp up production and re-open plants? Warren Buffett has said that’s it’s best to learn from “other people’s mistakes” as much as possible. Well I think there’s much to learn from Toshiba’s perilous venture into nuclear energy. Toshiba’s nuclear ambitions made for a great investment story. They planned to leverage Westinghouse’s nuclear reactor design to reduce costs by cranking out many “cookie-cutter” power plants. This low cost strategy, combined booming demand, would lead many investors towards an optimistic view of the company. But eventually the twin pillars of Toshiba’s plan, low cost and booming demand, eventually dissolved leaving them with losses that could approach $6 billion. How did this happen? Stagnation: The nuclear industry has stagnated or declined in most every country but China. Largely as a result of Fukushima and political headwinds. This lead to increasingly ferocious competition. Investing outside of your circle of competence. I would not have seen the risks of replicating design errors in the reactor design. Toshiba exposed themselves to unlimited losses: The deal restricted Westinghouse’s ability to “seek further increases in the contract price,” Southern said—meaning that if the nuclear plant couldn’t be completed in a timely manner, Toshiba would shoulder the costs. First: His strategy is likely dependent on being able to pull out of the market in a calm and orderly fashion. During market panics however, liquidity can dry up and severe fluctuations can wipe out years of profits like it did to the Carry Trade back in 2008. What Ever Happened to Rick Guerin? Very insightful article into the relationship of currency swap and interest rates. Foreign bond investors measure investment attractiveness by the hedged yield differential. Therefore, to understand the demand for bonds from foreign investors, you have to know both the yield differential and the cost of hedging currency risk with currency swaps. “The relative attractiveness hasn’t increased as much as the nominal difference in yields suggests,” added Mr. Inkinen. Systemic Risk in China’s lending environment (link): The default “rippled through the world’s largest internet investment marketplace, hitting investors who hadn’t even bought the securities.”…Individuals seeking higher returns invest in these unregulated securities with a few swipes on their phone. Think about this the next time you examine your daily habits. In the course of a year, that equates to 16 hours per day for 59 days straight of doing nothing but playing this video game. Over the course of 60 years, that’s 9.7 years. My full notes and analysis on the Wall Street Journal from the past week: January 23-29, 2017 (Week 4). Please Enjoy. 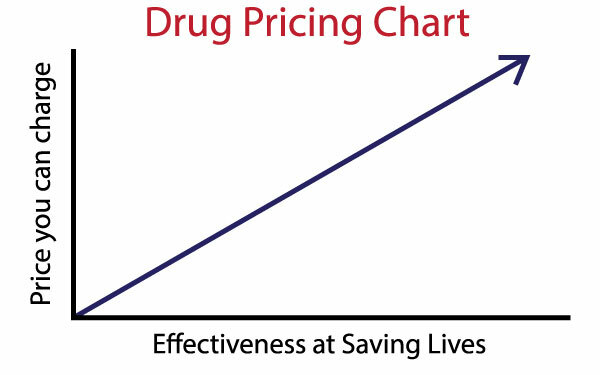 According to this quote, drug pricing has nothing to do with cost of development, or the amount of supply, but rather the demand generated due to the effectiveness of saving lives. 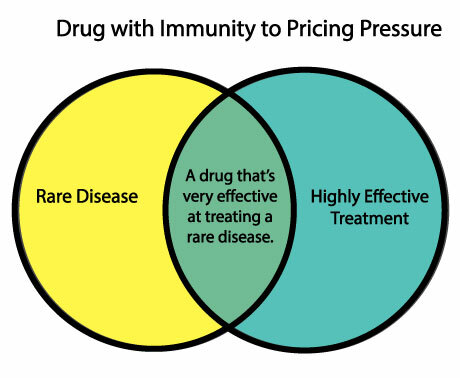 Furthermore, drugs for rare diseases have the best pricing power. A trend is emerging in retail. Customers want it “new” and they want it “now”. Whether you’re in consumer goods, video games, or luxury goods, consumers are becoming increasingly impatient and bored. “All the companies, including Supercell, have to find new ways to get new users,” Mr. Hiltunen said. “When players return to their games, there should be something new,” he said. 2) Corruption is good for business. A Crackdown on corruption reduces luxury goods sales. China instituted a stiff crackdown on corruption which led to less luxury brand sales. Are luxury brands over-extending themselves? More and more brand names seem to be expanding the price range of their product offerings. This strategy of offering products at lower and lower price points can increase sales in the short-term, but it can also contribute to brand dilution in the long-term. The Range Rover Evoque & Mercedes CLA are two possible examples. This strategy is very similar to retailers like Michael Kors and Coach who embraced the outlet store model. It helped revenue growth (and stock price) in the short term, but the growth was an illusion and it severely damaged each of their brands. Their outlet strategies proved to be nothing more than a complete exploitation and degradation of years of goodwill. Here are five strategies being used to fight/cope with declining sales. Caution: Cost cutting might lead to under-investment and result in (1) a further slowdown in long-term sales and (2) a need for large capital outlays in the future. P&G (link): Years of cost-cutting only recently started to bear fruit. Kimberly-Clark (link): Recently completed a cost-cutting plan aimed at saving $140 million annually. But it said earlier this week it still forecasts tepid sales growth for 2017. Caution: Often times this means over-paying. Caution: Impatience (time) based acquisitions are often expensive. Caution: Beware of selling too the division too low. Past success + high draconian expectations + a lapse in oversight = Ripe environment for corrupt practices. Pay close attention to internal corporate performance goals & oversight. Are the demands too unrealistic and draconian? Are there lapses in oversight? When governments are allowed to borrow based on assumptions of growth, they inevitably set us up for disaster. Why? Because they use “naive extrapolation” in their assumptions. Naive extrapolation assumes that growth will persist, nearly indefinitely. But the fact of the matter is that growth will eventually slow. Economies or companies that aren’t prepared for this eventually are devastated. Between 2007 to 2013, tourism feel 19%, a drop of $280 million. During that period the territory’s population shrank by almost 9%. What might they have to do to get out of their financial predicament? 1) Sell off key assets. 3) Cut funding to pension plans, schools, etc. (1) Beware of naive extrapolation of past growth rates. i.e. If you’re looking for investment bargains, look at distressed countries and companies who will be forced to sell things that they need to pay for the things they didn’t. (4) Remember what happens when you assume things? The Best Investment Quote of All Time is from…Napoleon? Could the best investment quote of all time come from Napoleon? Quite possibly. It was in the unlikely place of Napoleon Bonaparte’s personal diary that I found one of the best investment passages I’ve read. Bursting with investing wisdom, it would be understandable to mistake Napoleon for Warren Buffett. Although he’s writing about the art of war, the insights apply to investing just as well. 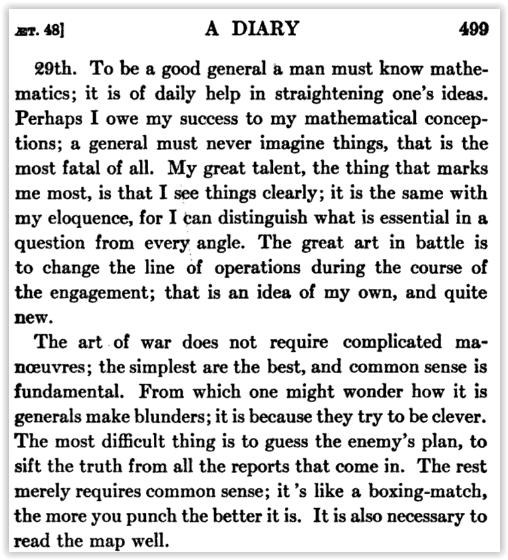 Below I dissect Napoleon’s journal entry to ascertain its valuable investing insights. a general must never imagine things, that is the most fatal of all. it is the same with my eloquence, for I can distinguish what is essential in a question from every angle. The great art in battle is to change the line of operations during the course of the engagement; that is an idea of my own, and quite new. it’s like a boxing match, the more you punch the better it is. While in Japan this past September I picked up his book titled “Jiro Philophosy” and was quite surprised. Unlike most investment books, Jiro doesn’t talk about investing at all. In fact, it isn’t even an investment book. 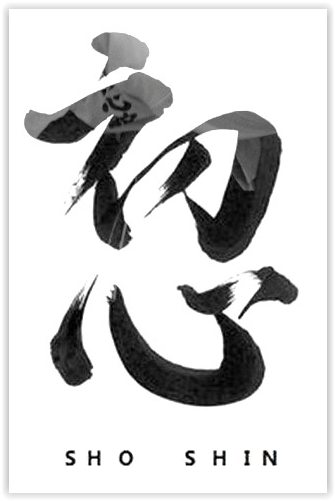 Rather Jiro Philosophy simply describes Jiro’s personal work-ethic. As I read this book, I quickly came to realize just how closely Jiro’s philosophy mirrors that of Warren Buffett, Charlie Munger, and Ben Graham. It was quite surprising to see that the same principles which lead to mastery in Sushi can also lead to mastery in investing. As a result, I have distilled the book “Jiro Philosophy” down to its 12 core principles and relate each one to the investment philosophy of Buffett, Munger, and Graham. 1. 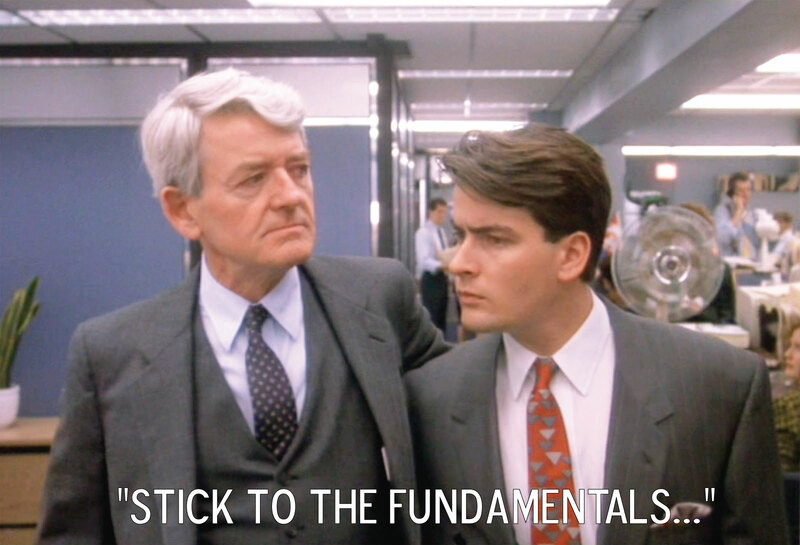 Stick to the fundamentals. Stay grounded. Market manias and bubbles all have two things in common; an abandonment of fundamental investment principles and an endless series of rationalizations. Consequently, Ben Graham developed an immutable investment philosophy based on strict fundamental analysis to keep investors from “completely straying off track”. And much like Jiro Ono, investors who have stuck to Ben Graham’s fundamentals of investing have delivered “delicious” results. Discovered Ben Graham’s book “The Intelligent Investor” at the age of 19. Read Graham’s 700+ page book, Securities Analysis, at least 12 times. Attended Columbia so that he could study under Ben Graham. Worked for Ben Graham at his investment fund. 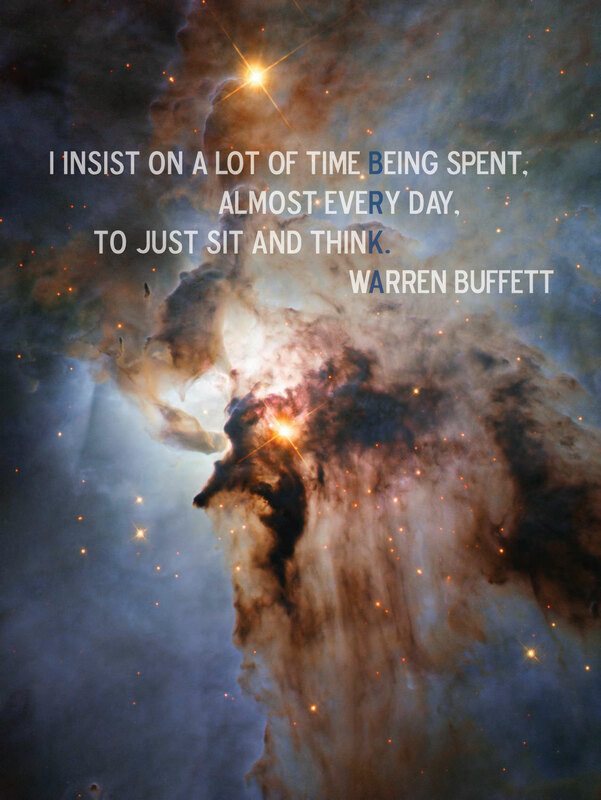 Invested using Ben Graham’s investment principles at the Buffett Partnership. 3. Put Knowledge into Practice. Throughout his life, Warren Buffett has shown an amazing willingness and ability to put knowledge into practice. This includes applying the teachings of Ben Graham as well as the four hour educational interview he had with GEICO executive Lorimar Davidson in 1950. 4. Improve upon what you’re taught. Otherwise you will always be an apprentice. 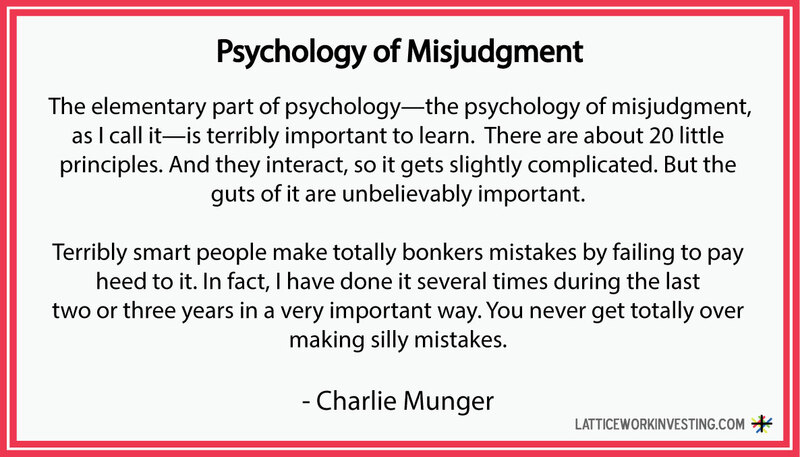 Both Warren Buffett and Charlie Munger are enthusiastic learners who enjoy the process. In fact, Charlie has said that he and Buffett are “dissatisfied with what they know.” As a result, they are always seeking to learn, adapt, and evolve. 6. The way you do the small things reflects how you do the big things. Through Jiro’s Philosophy, he stresses the importance of the small things. From cleanliness, to hot towels, to the preparation process, rice, etc. All the smallest details are given the greatest care. The way you do the small things reflects how you do the big things. Warren Buffett: Yes, sloppy thinking in one area probably indicates there may well be sloppy thinking elsewhere. I have been a director of 19 public corporations. I’ve seen some very sloppy operations and I’ve seen a few really outstanding business operators, and there’s a huge difference. If you have a wonderful business, you can get away with being sloppy. We could be wasting a billion Dollars a year, at Berkshire, you know $640m after tax, that would be four percent of earnings, and maybe you wouldn’t notice it…. Warren Buffett: Charlie would notice it… It’s the really prosperous companies that well….the classic case were the tobacco companies many years ago. They went off into this thing and that thing, and it was practically play money because it was so easy to make. It didn’t require good management, and they took advantage of that fact. You can read about some of that in ‘Barbarians of the Gate’. 7. Listen to good advice. 8. Preserve your main asset…You. In his 40’s, Jiro recognized that his most critical asset as a Sushi Chef was the sensitivity in his finger tips. As a result, he began wearing gloves in order to preserve the long-term integrity of his hands. This might seem like a mildly trivial matter, but for anybody looking to achieve and maintain success in their profession, follow Jiro’s example: Identify the physical or mental attribute that is necessary for success in your field and take measures to preserve it. 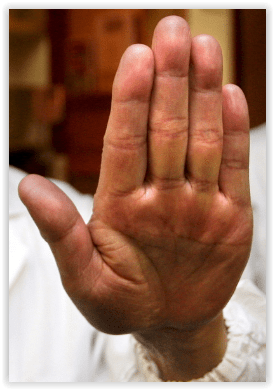 Similar to Jiro’s practice of wearing gloves to protect his hands, here are some routines and strategies which Buffett uses to maintain emotional stability, inner peace, and independent thought. He plays bridge many hours every week. Keeps a quiet office where he can think. 9. 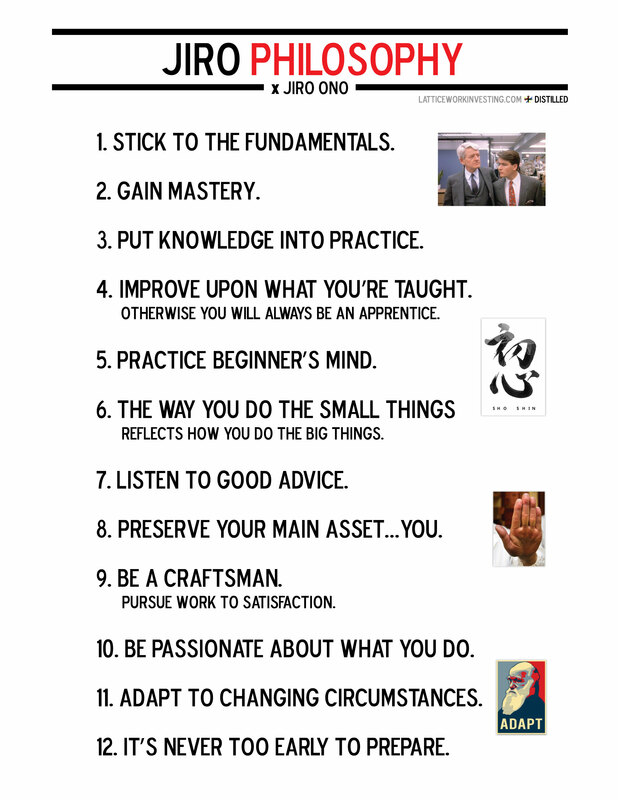 Be a craftsman. Pursue work to satisfaction. 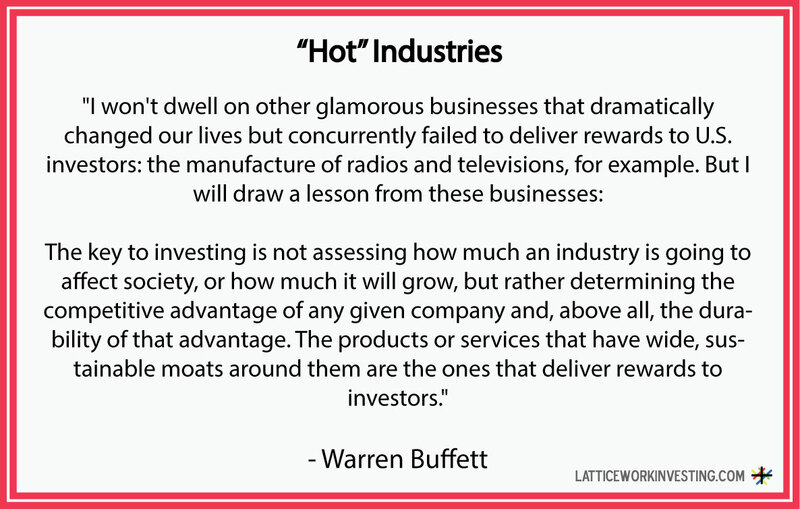 Likewise, Buffett takes pleasure in doing all the investment analysis himself. He does not have a team of analysts working for him. 10. Be passionate about what you do. At 86 years old, Buffett still tap-dances to work. He derives great enjoyment from researching different companies. He compares it to researching different species of animals. 11. Adapt to changing circumstances. Likewise, in investing you cannot wish for something which doesn’t exist. You must play the hand that you’re dealt. When Warren Buffett started investing, he could find net-net investments everywhere. But the investment ocean quickly changed and he had to adapt to the circumstances. Over the years, Buffett has invested in a broad range of investment classes including, bonds, common equity, preferred stock, warrants, options, commodities, and special situations. He doesn’t wish for something that doesn’t exist, rather he adapts himself to whatever asset is on sale below his intrinsic value. At the same time, Warren will never abandon his core principles and rationalize new investments. During the “Nifty 50” stock market, he declared that he couldn’t find any cheap stocks and refused to invest. Later Buffett refused to invest in tech stocks during the tech boom of the 90’s. In each case Warren has been rewarded for his patience and sticking to the fundamentals. 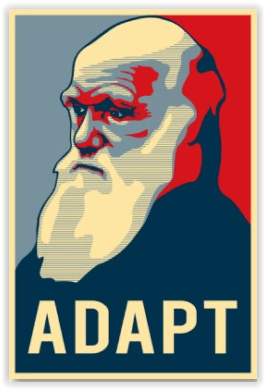 So remember: Adapt, but do not abandon. Jiro began working at a local restaurant from the age of seven.